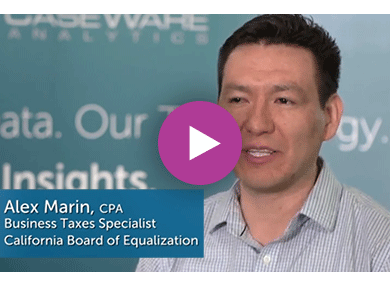 California's State Board of Equalization (BOE) collects taxes and fees that provide approximately 34 percent of the annual revenue for state government and essential funding for counties, cities, and special districts. The BOE currently collects about $60 billion in taxes and fees. Many times our tax payers will not be able to provide us with clean, formatted data. We typically get PDF formatted reports, and IDEA has been a tool that converts that data into Excel or other formats we can work with that will not inconvenience our tax payers. I currently work with data sets as large as 60-70 million records on a single table. A lot of the data we receive is not normalized, so we have combined data sets in the millions. The reason why we started using IDEA is its capabilities to work with large data sets in a fast and efficient manner, as well as, working with automated function and all the robust tools and functions you are able to take advantage of. To give you an example, we've created a very complex scrape that allows you to modify the data, manipulate it, summarize the data for a particular POS system. It contains about 450 different processes. If you do those 450 processes manually it could take someone 4-8 hours who knows IDEA, as opposed to automating the entire process and having it done in 15 minutes. That's going to be saving a lot of time and those are very tangible, measurable savings. IDEA has bee a great tool for us individually and as an organization. The bottom line is that everybody should be able to save time and money, it's a very efficient and effective tool.